Today I am in Busan, visiting friends. Busan is in the southern region of Korea. 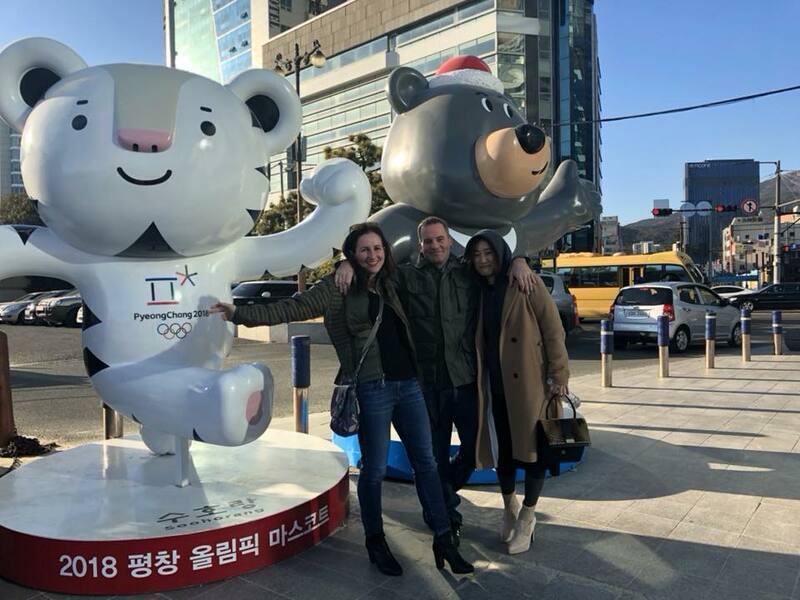 This is a location where the torched passed through in November of 2017 leading up to the Games, so there is a touch of the Olympic spirit here as well. At the beach they have Soohorang and Bandabi statues for people to take pictures with. 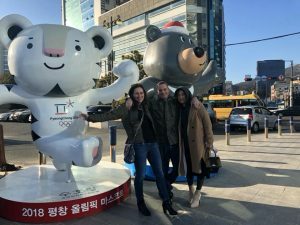 Soohorang and Bandabi in Busan ! 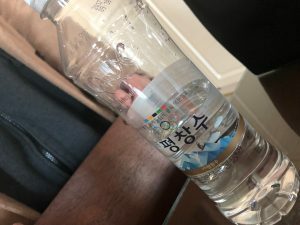 Additionally, there is a are disposable water bottles sold at convenience stores with the Olympic Rings. I also noticed an Olympic building when riding from the Busan airport to the Marine City area. Speaking of the Airport, when riding from Seoul to Busan, Korean Air did not have any of the Olympic themed magazines or marketing items. This implies that the marketing for international flights is different than national flights, and for some reason, they did not feel the need to market internal to the country.